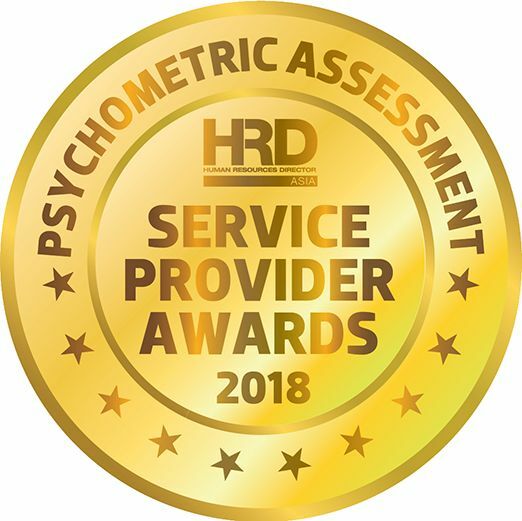 Multi-Award-Winning PsyAsia International offers world-class, science-supported Psychometric Tests for recruitment, selection and development, in addition to world-class Psychologist-facilitated Psychometric Test Training, job applicant screening, assessment and interview by psychologists, human resource training and HR consulting. Our Department of Clinical Neuropsychology offers assessment of brain-behaviour relationships and differential diagnosis of cognitive/brain impairment. We’re proud of being Asia’s Psychometrics & Business Psychology Consultancy since 2002. Operating from offices in Hong Kong and Singapore, award-winning PsyAsia International offers Online Psychometric Tests, Aptitude Tests and Personality Assessments, Job Applicant & Employee Screening, Psychologist Assessment & Interview Services, Human Resource Training and I-O Psychology / HR Consulting and Clinical Neuropsychologist Assessment Services. We work across Asia-Pacific, using highly qualified and experienced Registered Psychologists. Our world-class solutions and focus on scientific, evidence-based psychology at the core of our Psychometrics, Human Resource Training and Business Psychology Consulting separates us from competitors in the HR field and has won us numerous Quality & Excellence Awards. As an Asian business, registered in Hong Kong and Singapore, we understand Asia, and our client’s investments in us remain in Asia. We are a vendor of choice for multi-nationals across Asia, as well for a number of Asia’s Governments. As Business Psychologists, we are experts in the application of psychometrics to the workplace. Most of our competitors in Asia are not psychologists and are not regulated in any way. 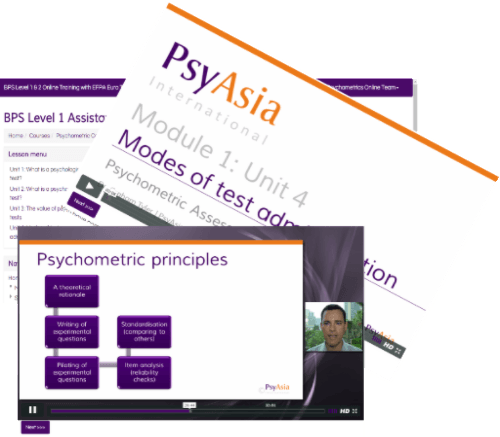 Working with PsyAsia brings confidence that your psychometric tools meet best practice requirements and are supported by science as well as our psychologists. We have a proud history of training Asia’s Human Resource Professionals, dating back to 2002. HR and Psychometrics Training Courses are delivered by Registered Psychologists who report to professional bodies. Our research into psychometrics in Asia has been published in international journals and books, and won an award from the British Psychological Society! We offer Psychological Consultancy in HR areas related primarily to recruitment, selection and development. Our most popular consultancy package is our Psychologist-on-Call™ Service, whereby our Psychologists will interview your job applicants on the basis of your competencies and the applicant’s psychometric test results. PsyAsia International also has a Department of Clinical Neuropsychology which offers screening and full assessment services for neurological disorders and brain damage either online or at our Singapore or Hong Kong offices. Our Psychologists also integrate Neuropsychology with Business Psychology assessment to help with, for example, improvement of memory or attention skills at work. A well established Online Psychometric Assessment which compares aspects of a respondent’s personality to a benchmark of excellent performers in certain roles with multiple report options. A British Psychological Society Registered Online Personality Assessment developed by Chartered Psychologists specifically to assess aspects of personality relevant to work performance. 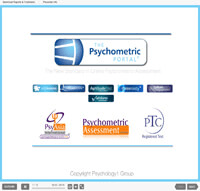 An Online Psychometric Testing System, the Psychometric Portal® contains aptitude and personality tests, 360° performance appraisal and a culture and engagement assessment.